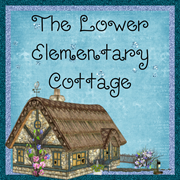 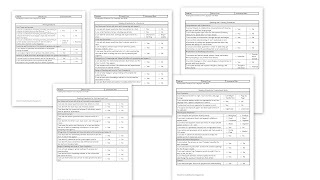 I just finished making the kindergarten, 1st grade, and 2nd grade Common Core language arts records. 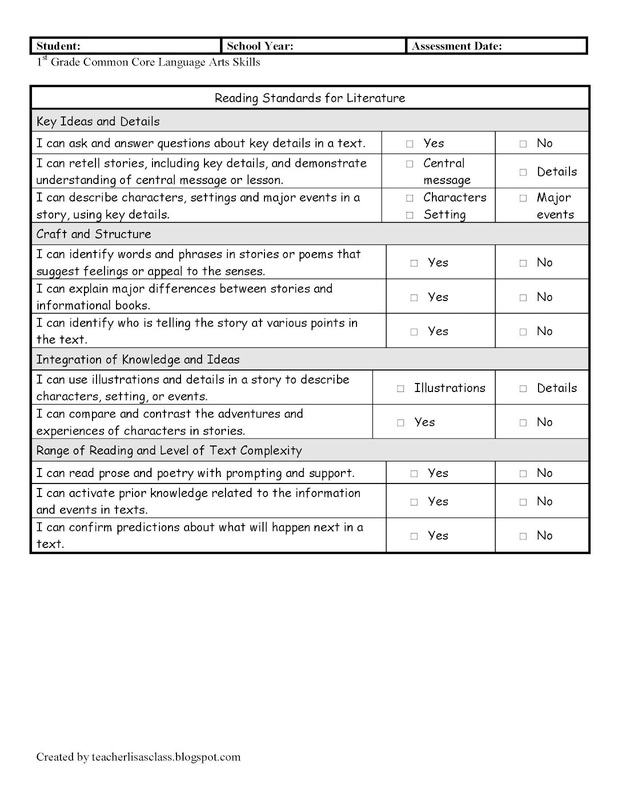 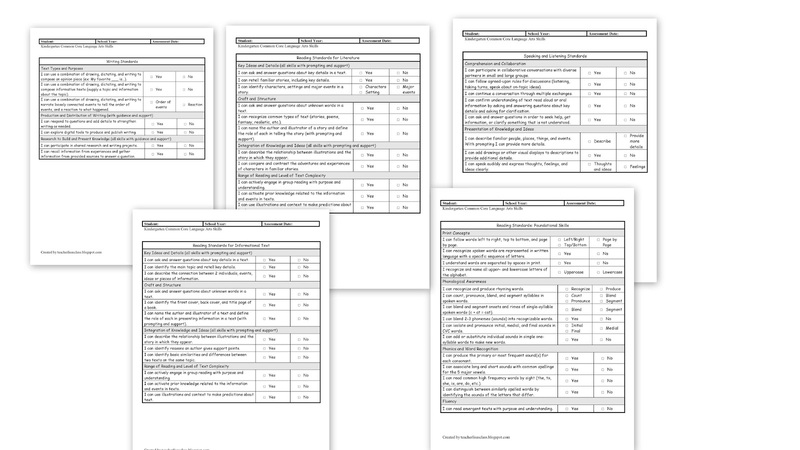 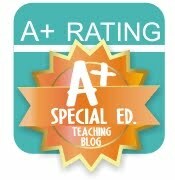 They have the same overall layout as the math record with the easy-to-use checklist. 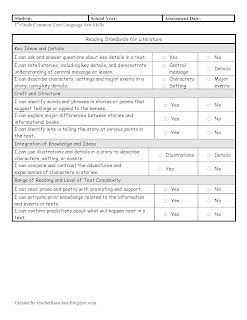 I love that I can choose to use this as a checklist to add checks to all year, a beginning/end of the year assessment to show progress, or a quarterly progress monitoring method. 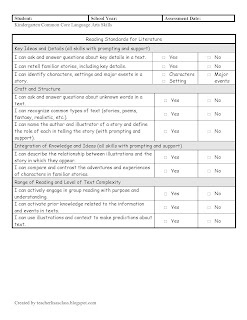 It's also a handy reference to make sure I've taught everything in the standards. 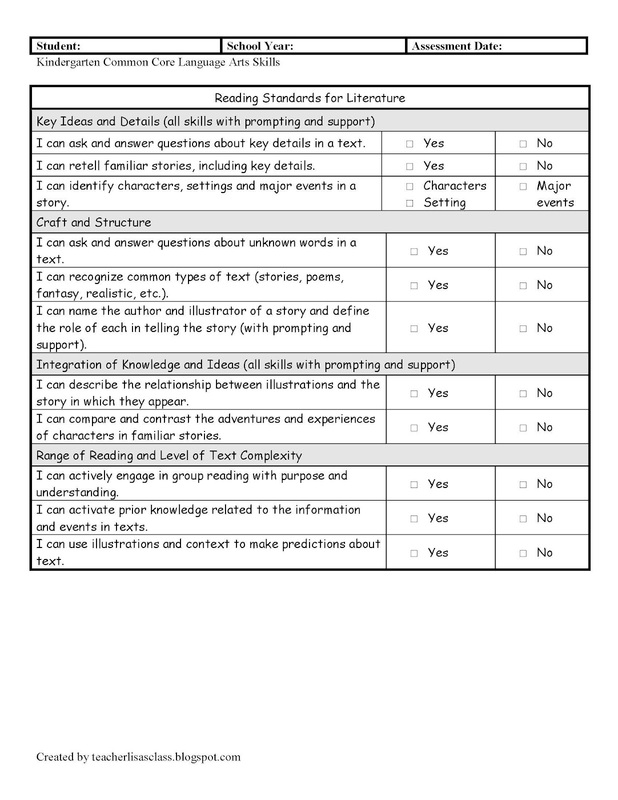 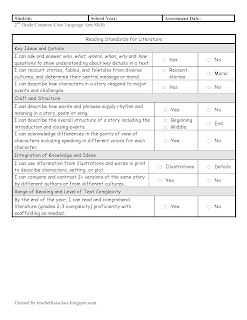 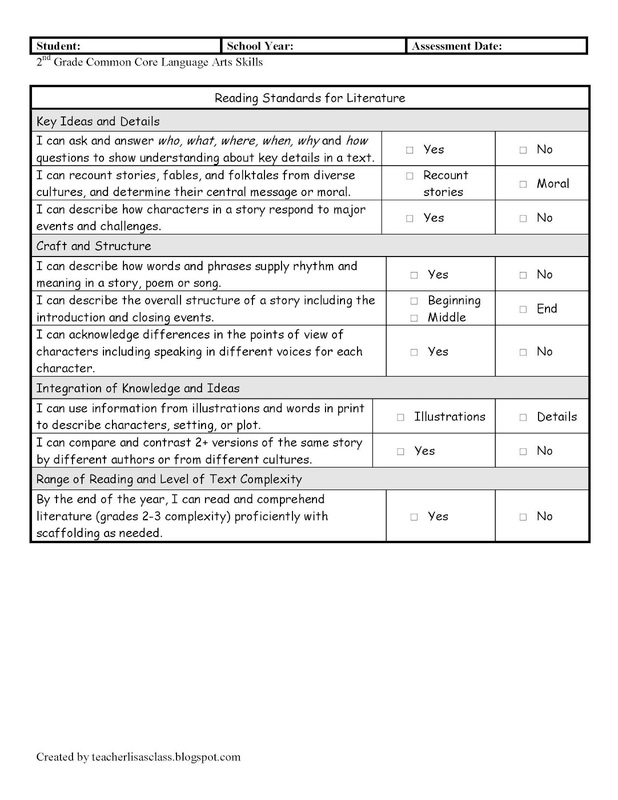 Each section of the language arts is on it's own page so it can be used independently or photocopied double-sided to use all 5 checklists for that grade.